and save 10% on all products! 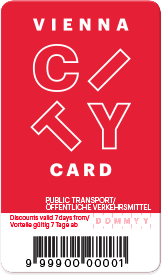 Offer valid for Vienna City Cards purchased until June 16, 2019. Step 1: Choose your Vienna City Card (and add-ons). Step 2: Buy your Vienna City Card.